It’s an undeniable fact that your children will have a lot of experiences in their bedroom. They'll have their first smiles in that very room, their first tears, their fist love. It will be a resting place between schoolwork and play. Considering the amount of time your child will spend in their bedroom it's vital that they're surrounded by stimuli that arouse curiosity and forge a critical mind. 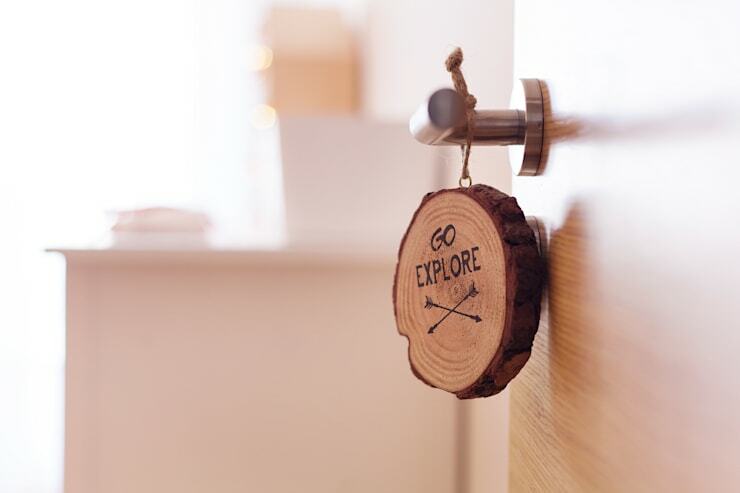 As well as features of general interest, you should also try to include things that appeal to specific interests your child has already displayed, such as music, sport or science. Their innate talents will start developing at a tender age and with the right stimulations, you can help them flourish. Take notes and, as always, be inspired! Travelling to a faraway places in search of adventure has always aroused the curiosity of humans. We might not want to step out of our comfort zones sometimes but the vastness of the world and its unimaginable prospects drive us to have a peek. As their information pool grows ever deeper, children are curious to know more about the world in which they live. Where is China? Is it far away? Is Africa larger than Europe? What is the biggest country in the world? These are all questions that will naturally rise within your child's mind. 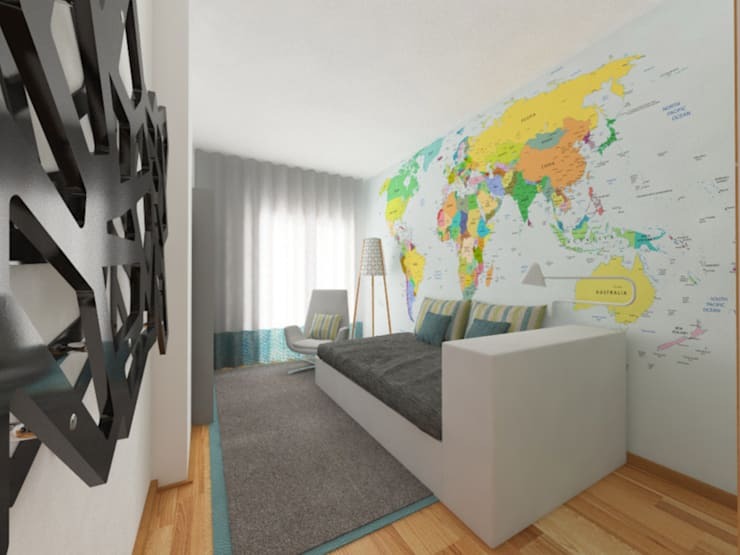 Give them quick answers by putting a world map in their bedroom. You could dedicate an entire wall! Motivational phrases can inspire your children and encourage them to be impactful people who want to make a difference with their choices and attitudes. Creativity can be unleashed, motivating them to be more curious, interesting and active individuals. The basis of most modern children's games is education: learning through play. Therefore, it stands to reason that games and toys, such as colouring books, interactive whiteboards and electronic games, can be stimulating for your children. Children can begin developing skills with interactive games from a tender age. The right games can play a key role in unlocking their talents—the secret is understanding what your children love the most and directing them accordingly. Technology is like a big city: it offers amazing possibilities but has its darker parts. In this digital era technology is already embedded in the lives of your children; TVs, tablets, mobile phones and computers with internet access being window to the online world. While older generations may feel apprehensive about technological and social changes, you should try to harness the best of modern day technology for the benefit of your children. When they become students, alongside a desk and a bookcase, you can provide them with age-appropriate technological devices. A laptop, for example, can become their portal to a new world full of stimulating information. Children grow at a fast pace, which means that, as with clothing, their furniture will need to be regularly updated to meet their changing needs. To ease the expense you can opt for modular furniture. Modular furniture can be a sensible investment considering the extended life and functionality they offer. 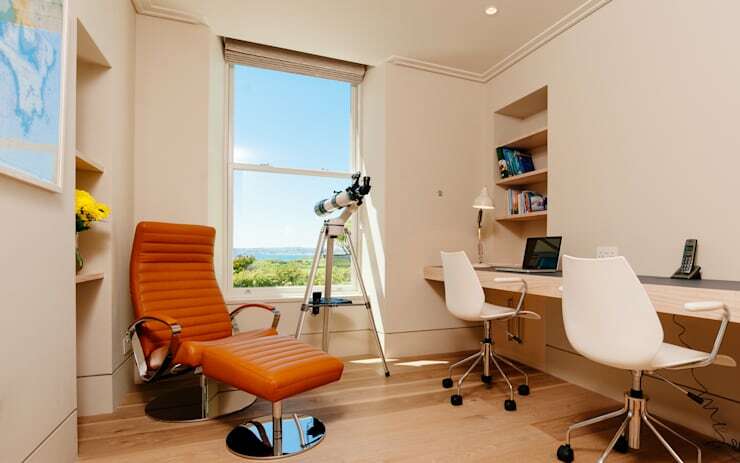 Different pieces, such as a desk and chair, can be combined together and arranged in various ways, which will encourage your child to think creatively and feel like they have some control over the look of their room. 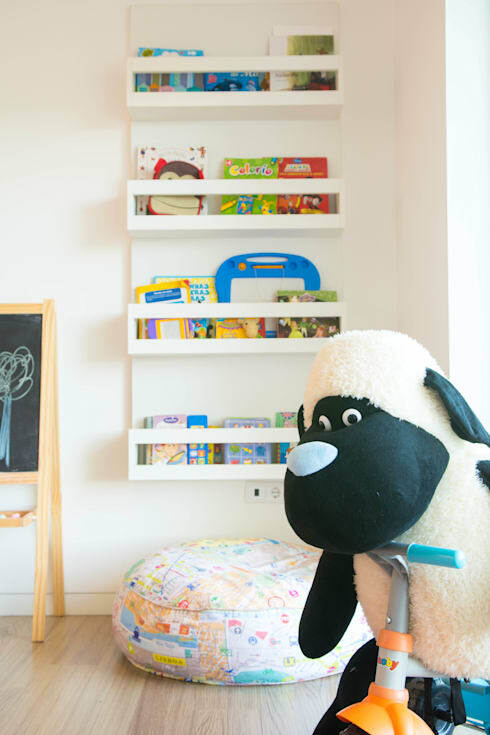 It can be a difficult task to keep toys, clothes and school supplies organised in your child’s bedroom. We recommend using easy and smart storage solutions that utilise wasted space, such as under the bed or behind the door, to help you in your quest for organisational harmony. As well as helping things look more neat and tidy, these practices can also help children develop good habits. Remember though to keep everyday items within easy reach as there's nothing more frustrating than looking high and low for something you child refuses to leave the house without! More great ideas, check out: 6 Things Every Kid’s Bedroom Needs. What are the talents of your children? How does their bedroom stimulate them? Let us know in the comments!